I have looked into the crystal ball. I see 50 new Norwegian breweries in 2015. There are around 120 active breweries in Norway today, I guess about 20 of them established during 2014. But things are not slowing down. My guess there will be 50 new breweries with a public licence to sell their beers in 2015. I have gone through public records, newspaper clipping, Facebook pages etc. Here are 38 new breweries who are likely to start brewing in 2015, listed by county. As usual, they are scattered around the country, most of them starting up as very small scale brewpub ventures. I welcome all corrections to the list, and hope there is a fair number of omissions, too.. Some of these have a local licence to sell beer in-house only, others have a national permit and may sell their beers through shops, bars and restaurants. 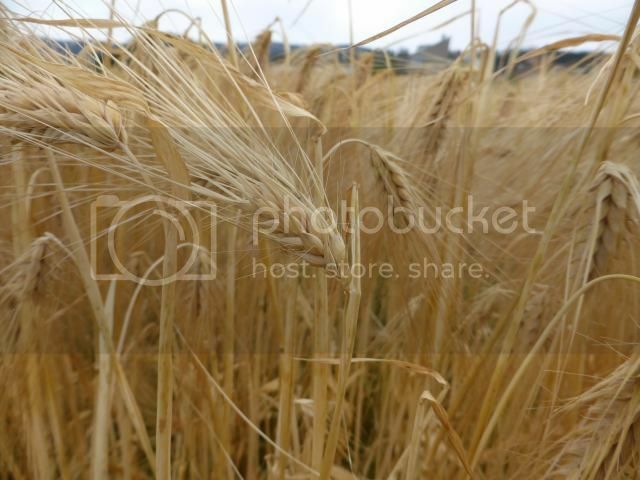 Note that there are a few destilleries starting up, too, they are not included, neither are cider makers. Nedre Foss Gård in Oslo will , as far as I know, have both a brewery and a distillery. 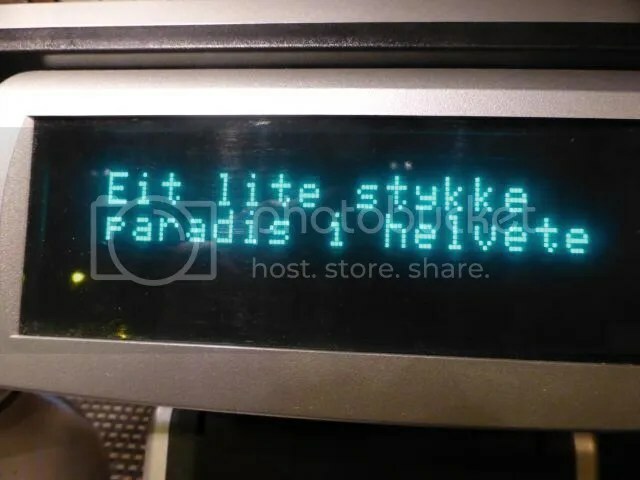 Daglighallen Mikrobryggeri in Trondheim. Already open! 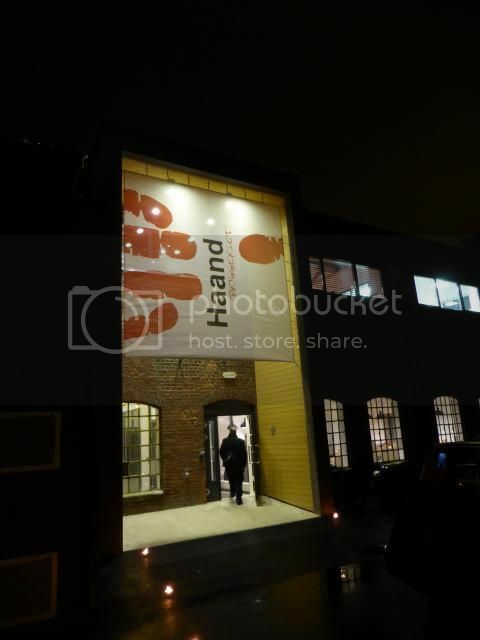 Those of you who have followed this blog from the early days know that I have been a friend of Haandbryggeriet from their very early days. Established in 2005, four home brewing friends started up in a few tiny rooms in what used to be a stocking factory. 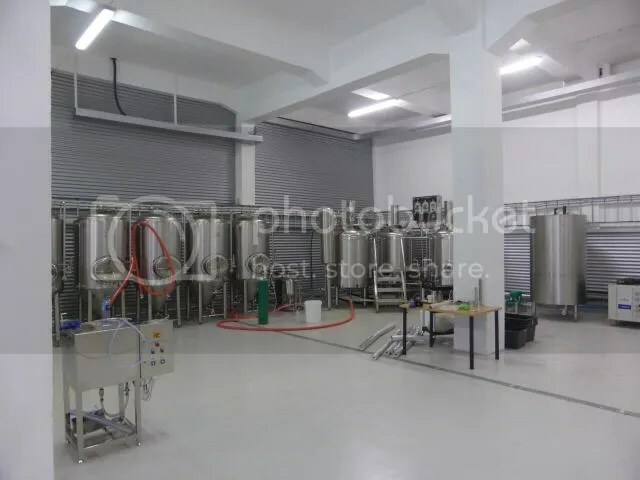 They moved to larger premises in 2011, but they have already outgrown them, so they have set up a spanking new brewery, but they still stay in their home town Drammen. This is an area with a rich industrial heritage, so there is no big surprise that they once again occupy a building with a history of other activity. They have come quite a long way in less than ten years! 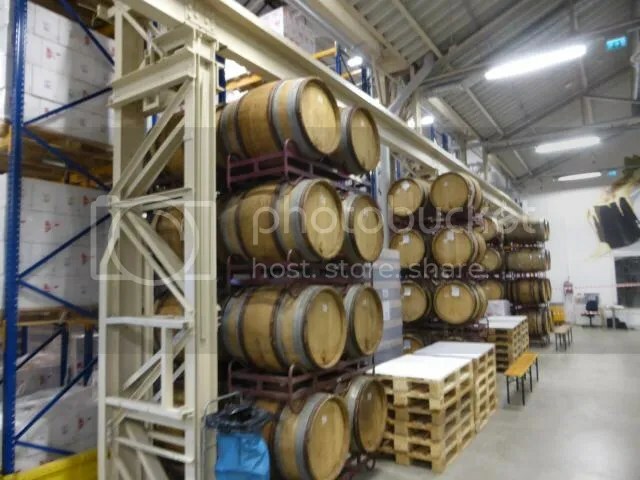 There was an opening party for the new brewery this week, they are ready to take on the huge domestic demand, particularly from the supermarkets. It’s good to see that the first generation of Norwegian micro breweries have managed to expand and thrive. Everything looks sunny now, but there have been lean years as well. The investment in the new brewery is about 14 million kroner, while their turnover in 2013 was 22 million. More room for barrel aging, too. 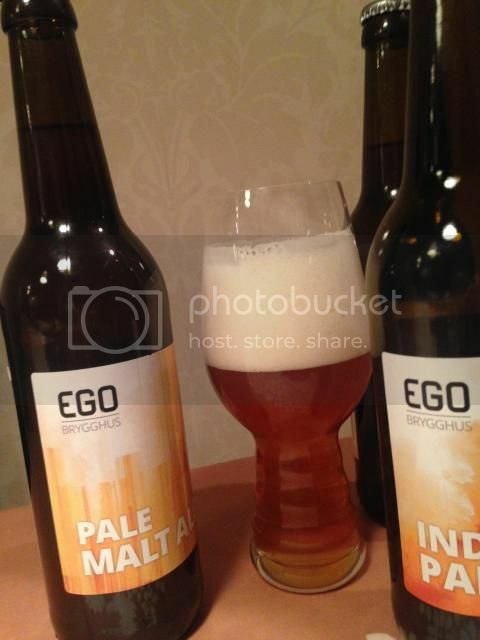 Ego brygghus is one of the many new breweries established in Norway this year, and they have established themselves with high quality beers from the very start. 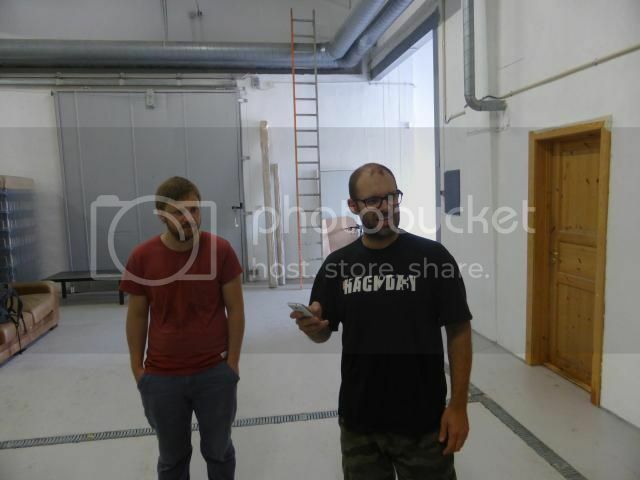 I visited some months ago, and head brewer Christer was very clear that he would not compromise on quality – they will only sell beers they can really stand behind. Ego is located in Fredrikstad, Østfold, the southeastern corner of Norway. Their first batches showed the scope, two IPAs, a rye IPA, a pale ale, a stout and a wheat ale. They brew 500-700 liter batches. 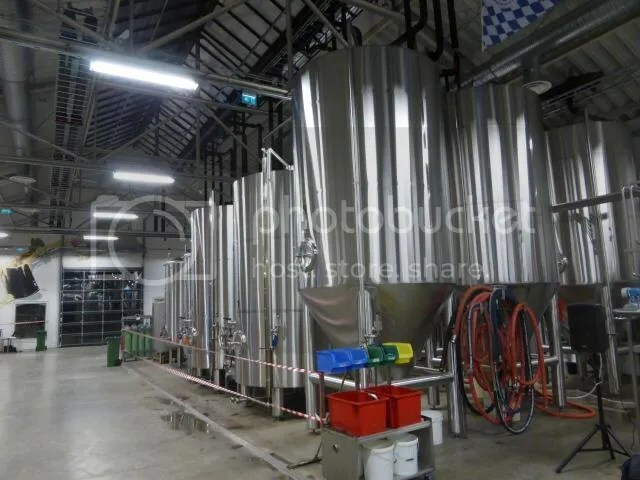 The production in 2014, with only six months of actual brewing, will end up at around 20000 liters, while the aim for 2015 is at least to double that. The best sellers so far have been A Damn Fine Coffee IPA and Reign in Citra – a single hop pale ale. The number of beers is approaching 20, so it is a challenge to follow this as long as they have a limited distribution. The plan was to aim for the pub restaurant market with both kegs and bottles, but Ego is now ready to move into both supermarkets and Vinmonopolet – the state monopoly stores. The first supermarket beer is a saison. 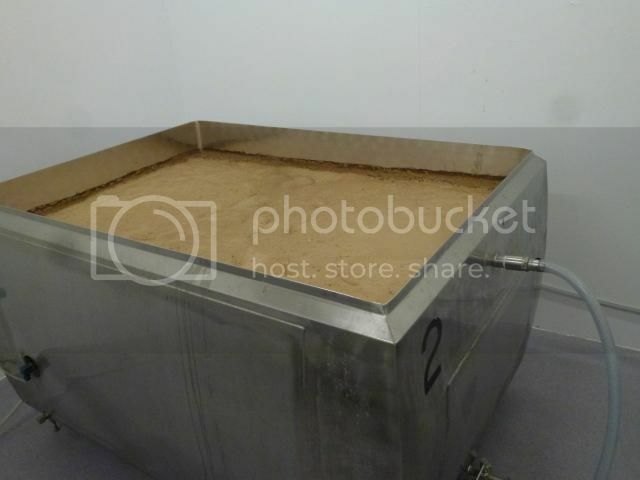 They had plans for an unfiltered pilsener as well, but they were not happy with the first batch, so we’ll probably have to wait until the new year for that one. They have a new distribution deal with Strag, which has a number of solid brand names in their portfolio, including the Erdinger beers. I think both sides can profit from a partnership with a Norwegian craft brewery. The Ego beers do not aim for the extreme, they are drinkable and accessible. This does not mean bland beers, there is plenty of flavor and bitterness, My current favourite is their Black Chocolate IPA. Dark brown, with very inviting aroma, berries and a hint of cocoa. Bittersweet flavor, roasted grain and herbal hops. The chocolate or cocoa is there, but not in an intrusive way. I had the pleasure of attending a beer event earlier this week – another case showing how much the scene has developed and matured. 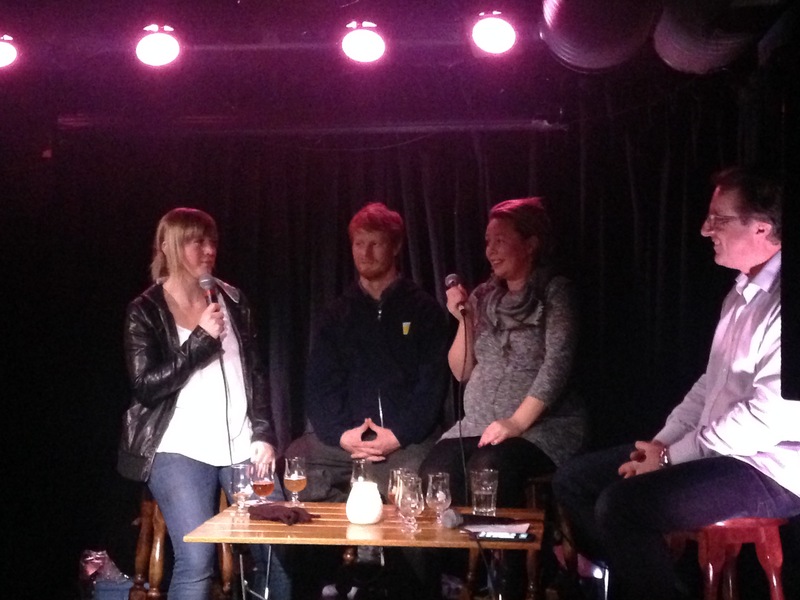 This was held at Cafe Sara, which has established itself as one of the very best beer bars in Oslo. The promotion had been fairly low-key, you are not supposed to do much in the way of beer promotion around here. I was really surprised that there was a long line outside when the door opened, and they managed to squeeze in about eighty of us. And we’re not talking big national or global names in the beer world. On the opposite, we were invited to a tasting with two fairly new breweries, who do not even have bottling plants, Voss Bryggeri and Lindheim Ølkompani. Picking these two was a very good choice, as they both have stories to tell – and the voices to tell those stories. They both brew on a fairly modest scale – around 1000-1100 liter batches, and they are situated in rural areas with small local markets. Ingeborg Lindheim told the story of how she went to San Diego to buy their brewing plant, and how she was told by those who sold it to get in touch with a restaurant owner. This turned out to be one of the owners of the Lost Abbey/Pizza Port group of breweries. They struck up a friendship, and they have been doing collaborations with their brewers ever since. Not bad midwives for a small Norwegian company! Lindheim is a family farm with fruit-growing as its main income. The turnover is too small to give an income for two people, so they came up with the idea of starting a brewery as a sideline. 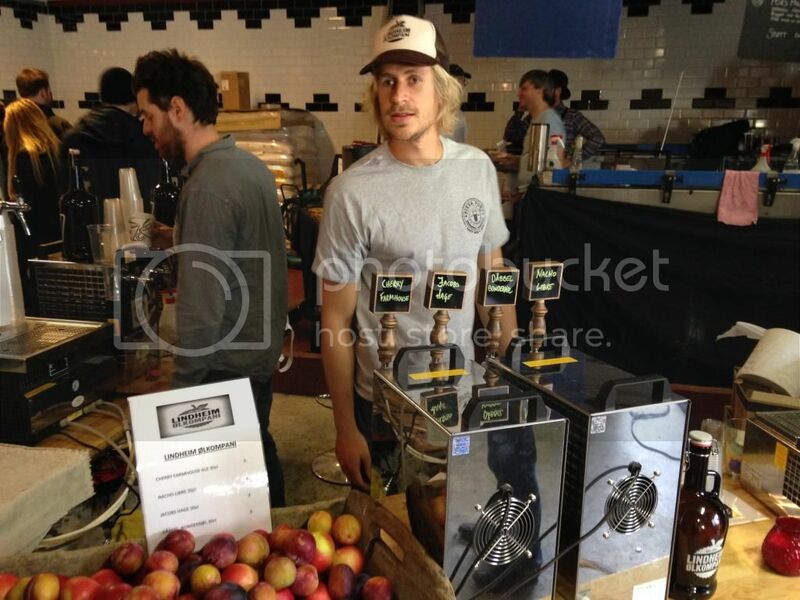 This has been very successful, and their most interesting beers use fruit from the farm. They have a Gose brewed with plums, but the most interesting beer of the evening was their Surt Jubileum. Jubileum is a type of plums, and the beer is a Berliner Weisse. Sort of. There is a fresh, clean sourness laced with the plums. Stronger than the usual Berliner Weisse at about 4.5%, yet a feathery light body. They didn’t just buy lactic bacteria from a brewery supply shop, they used live yogurt as a starter. Voss also have an Eldhus series of beers. 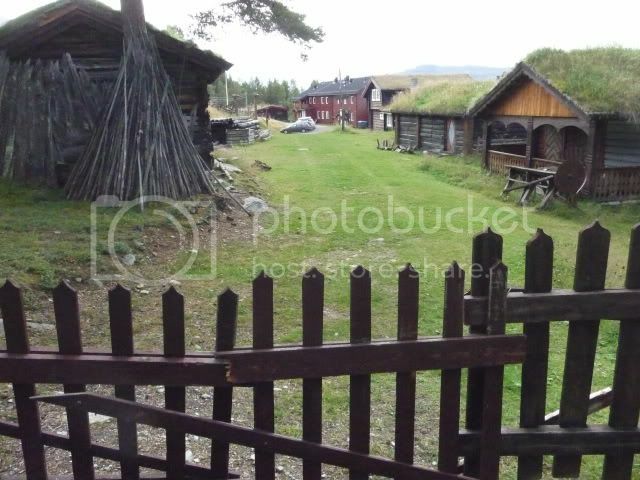 Eldhus are small buildings used for smoking meat, sausages etc, particularly mutton. Dag has another use for the Eldhus, he smokes hops. To make this even more exotic, they pick wild hops for this. A delicate smoky aroma is then transferred to the beer, much more discreet than when the malt is given the same treatment. The beers from Lindheim and Voss are hard to find, in Oslo Cafe Sara is the most likely place, but Grünerløkka Brygghus or Crowbar have also had their beers. They do not bottle any of their beers today, Lindheim plan to start bottling next year. But they both have been successful in introducing growlers, meaning you can pop in on thursday or friday afternoon and have your growler filled with beers blow 4.7%, fresh from the tank. The rest of the beer is kegged, and this has turned out to be a good format for distribution. The second wave of Norwegian craft brewing is starting to come of age. I’m happy to see that some of them develop a clear profile. I think that will be needed in a market when everyone with a garage move from home brewing to selling their IPAs. You need a clear identity to survive. And I hope this identity will be mostly connected to unique beers, not just graphic profiles and good networking abilities. 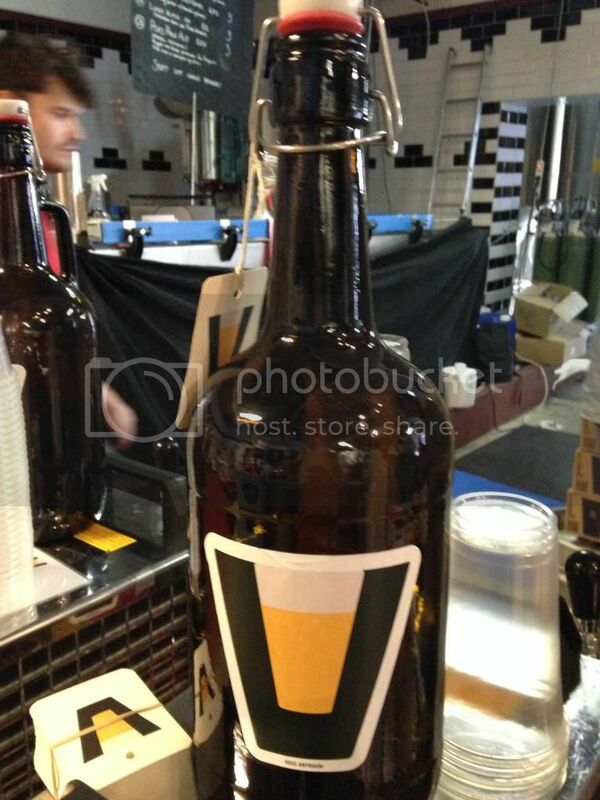 And watch out for a Voss beer brewed with smalahove next year. That is cured and smoked sheep’s head. Extreme beers just got a new dimension. Where did you say that beer came from? I’ve lost count. We all have. There are new Norwegian breweries popping up every week or so, in the most unlikely places. The beers? The good, the bad and the bland. Don’t get me wrong, there is room for both the good and the bland. I rarely write about the truly bad breweries. There are a few, usually there are people who wanted a novelty for their pub without any interest, let alone passion, for the styles, the nuances and the flavors of beer. This is a place where your are likely to find someone behind the bar who do not actually like beer, but they would happily down a Kopparberg alcopop or two. Then you have breweries who aim for a local market, and who don’t want to alienate their public. But that is no excuse for being lazy. You can still aim for flavourful and balanced beers with more character than the industrials, who taste of summer meadows and amber grain. Beers that leave refreshment at the bottom of your half liter glass, yet leaves enough bitterness on your tongue to make you consider another round. And I have respect for those who have ambitions. Who dare to take up a second mortgage on their house to expand production, who dare to quit their day job to follow their dream. There are a few in the second tier of the Norwegian craft breweries. Not up to the volume and experience of Nøgne Ø and Haandbryggeriet, Ægir, Kinn or Lervig. But some of them will soon be snapping at their heels. Then we have another category where I find it hard to have much enthusiasm. These are beers that claim to have local or national identity, but where, like the industrial giants, the marketing is more important than the beer and the brewing. I have no membership in any nostalgic organisations condemning giant corporations, and I have no ill feelings towards those who drink their Stellas (as long as they don’t beat their wives). But I have some resentment towards those who take me for a fool. There are several companies who are riding the crest of the beer boom right now who claim to be breweries, but are not. Local journalists write, starry-eyed, about local lads make good without asking where the beers actually come from. One of these companies was launched in the summer of 2012. The uncompromised nature of Norway in a bottle is their slogan. The problem? The beers are brewed in England. Then there is a newcomer claiming allegiance to a gentrified but traditional industrial area of Oslo, launching industrial lagers in supermarkets and aiming for a slice of Carlsberg’s market. At last, Oslo gets its own beer, they boast. Christmas beer brewed with local ingredients, says one of the local newspapers. Two problems. One: There are several breweries in Oslo, two of them have bottling lines and already distribute a range of beers. Two: They beers are, for the time being, not brewed in Oslo, but in Arendal, on the southern coast. Sure, they are building a brewery. But if they are half as successful as they hope to, they will not have the capacity to brew on a large-scale on the premises. So the local connection is dubious. Carlsberg has a half-hearted attempt to cash in on the local card as well. They bought up a number of breweries around the country decades ago and closed them down, while keeping some of the brand names. They have the nerve to market beers like Nordlandspils or Tou as ”local beers”, overlooking the fact that they are all brewed in Oslo. I don’t mind contract brewing. I don’t mind gypsy brewers. But when I buy food and drink I want honesty about where it is produced. Particularly when geography is a major part of the marketing campaign. Bu maybe I’m old fashioned.